Christopher is a science writer and journalist, specializing in narrative nonfiction. He has written four books, including “The Melting World: A Journey Across America’s Vanishing Glaciers”. 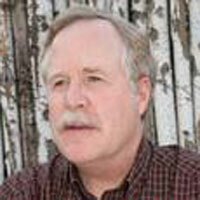 He has written for publications ranging from Audubon to The Baltimore Sun and National Geographic. Formerly, he worked on fisheries and endangered species issues for the Chesapeake Bay Foundation. He has a degree in biology from Princeton University and an appetite for mountaineering, sailing, and diving. Chris lives in Santa Fe, New Mexico.